Welcome to the world of the small! 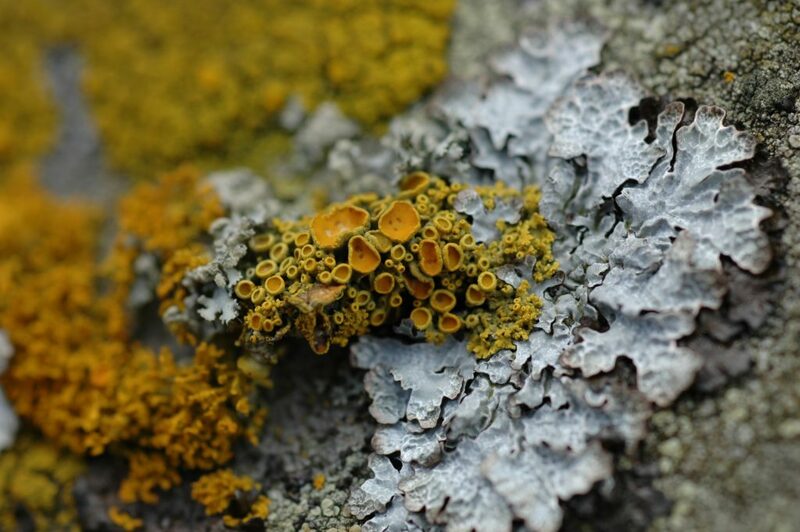 Let us take you on a tour of the lichens you can find here at the Royal Botanic Garden Edinburgh. Pick up a trail booklet & map at either the John Hope Gateway (off Arboretum Place), the East Gate (off Inverleith Row) or the Glasshouses Entrance. Ask to borrow a hand lens to help you explore more fully – please remember to drop the hand lens back to either entrance (doesn’t have to be the one you came in at). The trail should take about an hour, depending on how long you spend exploring at each of the six ‘nodes’ of the trail!